Here are ten fantastic, magical tales of selkies, witches, kelpies, spells, courageous girls, magician and apprentice, monsters, justice and loyalty. 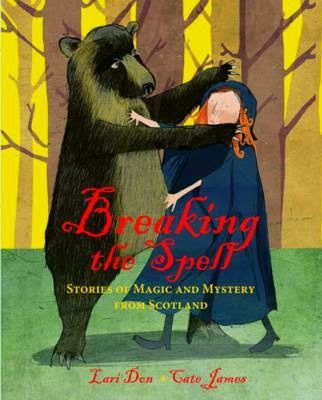 They are drawn from Scottish folklore and revisited and reformed by the author to create a selection of riveting reads. In the note from the author, she shares the origins of these stories and what she drew on specifically to create this stunning collection. Adults will enjoy this book equally as much as younger readers. The illustrations are unique, as is the content of each tale. They focus on the strengths of the main characters, the justice in each situation, and showcase the beauty of the country through the descriptions and settings of land and sea. I loved this collection. I was wholly swept into its tales of perseverance and justifiable outcomes.